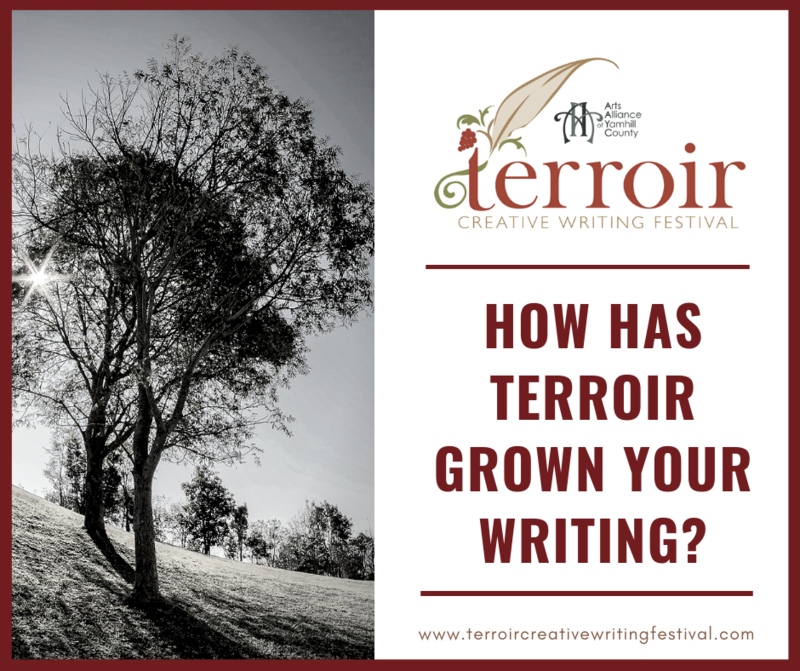 How has the Terroir Creative Writing Festival grown your writing? 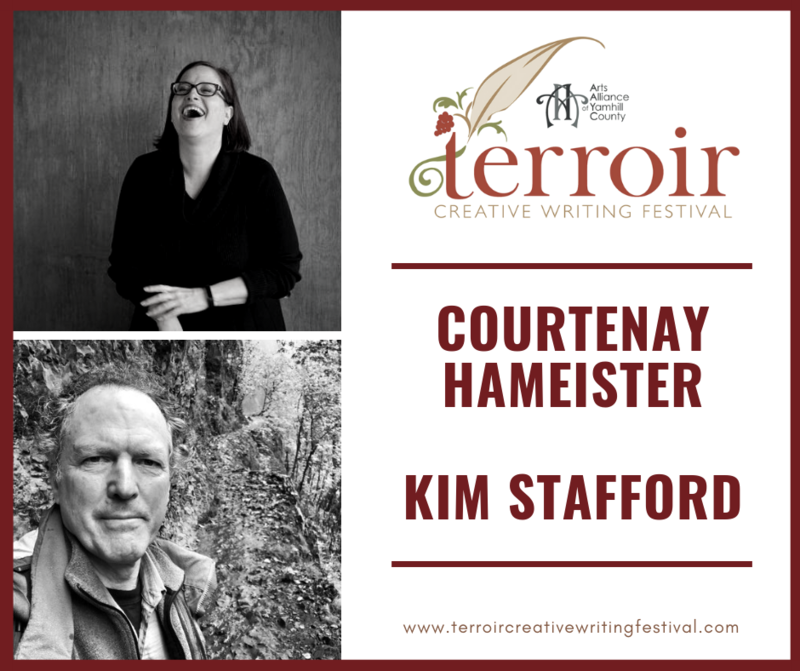 As we approach the 10th anniversary of the Terroir Creative Writing Festival, happening April 20th in McMinnville, Ore., we want to take stock of the growth of our literary community by checking in with you. Whether you’ve attended once or you mark your calendar every year for the event, we want to know how Terroir has impacted your writing practice. No stride in art is too small. Maybe you wrote one line of poetry poem after an inspiring lecture. Perhaps you completed and sold a novel. Whatever gain you’ve made in your creativity, we would love to hear about it! We are gathering these wins for presentation at this year’s festival and would love to hear yours! Please post in the comments here or comment on the conversation on on our Facebook page. 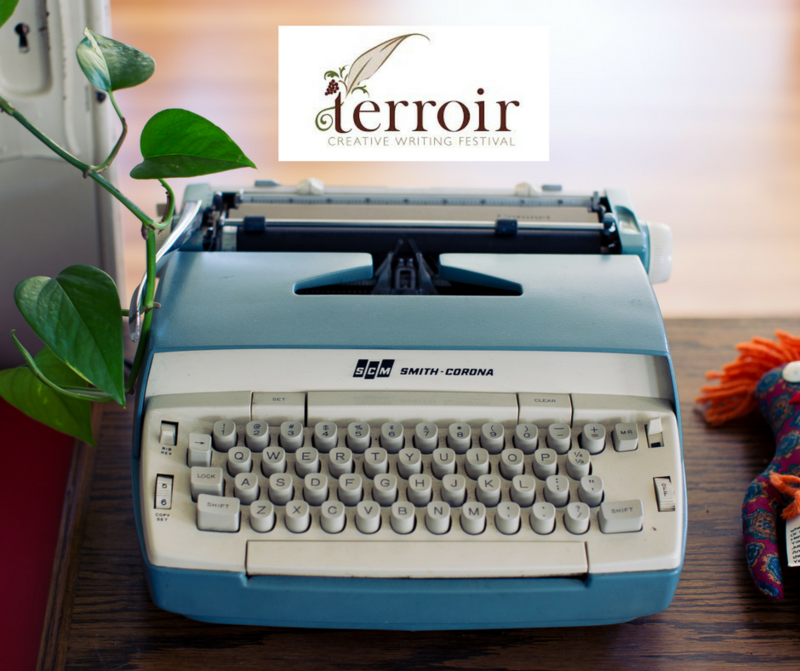 Mark your calendar for the 10th annual Terroir Creative Writing Festival, April 20, 2019! What’s next? Carry that Terroir feeling forward the whole year. Well, it’s happened again. We had a great Terroir Creative Writing Festival and now we are sad it’s over. You can keep that spirit of literary community and writerly exchange going all year round! Join the Terroir board. We are a small group of volunteers who meet once a month September through January and then once ever two weeks from February until the festival in April. By joining us, you’ll get to help decide what writers we bring to Terroir and you’ll be tapped into the area’s literary community. We need you! Just reply to this email and we’ll contact you when the Terroir season starts up again. Start an event. Want to host a reading event or open mic in your town? We can help you get there. If you have an idea for something literary you’d like to do in public, let us know. We are happy to share events on our FB and email lists when appropriate for our audience. Tell us how you are doing. Let us know how Terroir is impacting your work! It’s great that we get to chat, but in order for our rural writing community to stay active and alive, we need to share the benefits of events like these. Share your ideas. Want a particular regional writer to come to Terroir? Tell us! We have our favorites, but we are always open to suggestions. Alert us about books. Do you have any books, self-published or traditionally published, that have been impacted by Terroir? Let us know! We’d like to put together a page of all the books that have emerged in the area with help from our little writing festival. Support the writing community. Buy local authors’ books, attend literary events, make friends with our librarian, know every time that you are a part of this community. Buy local. Whenever possible shop at Third Street Books to support our local economy. Bookselling is a socially conscious endeavor. Thanks for making Terroir 2018 one for the books! Curious about the self-publishing process? Maybe you’re overwhelmed by the number of paths to publication out there. Authors and publishers with experience in self-publishing will be available for conversations in room #108, just past the elevator on the first floor. Please drop by to pick up business cards, ask questions, and learn more about options and opportunities. Ellen Summerfield has self-published four books of poetry and is pleased to share her experiences: using InDesign for formatting; working with an illustrator and a graphic designer; hiring and editor; and, for her most recent volume (Unruly, 2017), learning to use CreateSpace, which is the print-on-demand service offered by Amazon. Karen Berkey Huntsberger is the author of Waiting for Peace­: The Journals & Correspondence of a World War II Medic and I’ll Be Seeing You: Letters Home From a Navy Girl, both self-published and funded by Kickstarter campaigns. Karen has spoken extensively on her first book with the goal of promoting peace. Stephen Long was a dock worker, truck driver, inventor, and entrepreneur. He fulfilled the dream of becoming an author when a grant from the Elizabeth George Foundation led to his debut self-published novel There’s a Somebody. Stephen has since completed a follow-up novel All Hat, and is working on a third novel. Patricia Marshall, owner of Luminare Press (a self-publishing service), enjoys sharing her knowledge, enthusiasm, and love of publishing and bookmaking with authors across the country. Patricia has a journalism degree from University of Oregon, and an MFA in Creative Nonfiction from Goucher College in Baltimore. Gail Watson designs, prints and binds softcover books in her Newberg studio. She has been working with local authors for over 10 years designing the pages and covers of their books and making them easily readable and interesting visually. She will bring examples of her work and is looking forward to answering questions. Stop by, ask questions, and see the possibilities for your next project from these enterprising and creative professionals! Today is the last day to register for Terroir 2018! Don’t wait another minute! 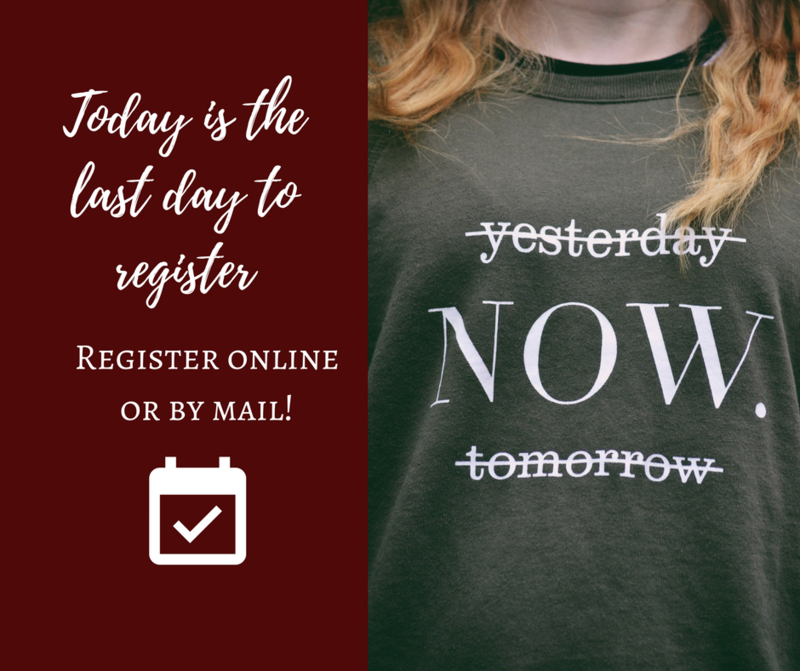 Today is the last day to register online for Terroir 2018, and to mail in your paper registration. Please have your registration post-marked by today. Click on 2018 Registration above! Missed it? You can still come to the festival on April 14, 2018, but be there at 8:30 a.m. to be sure you get in! One of the best parts of attending Terroir is the chance to learn across genres. Don’t identify as a playwright? 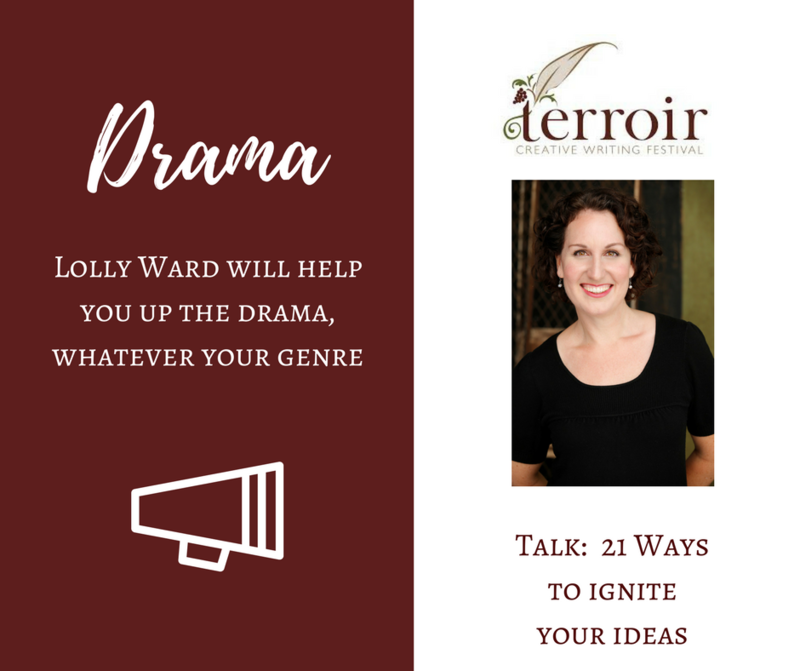 You can still take away a lot of new approaches and get inspired by our resident dramatist this year, Lolly Ward. Lolly Ward’s plays include Mate (The Actors’ Gang; California Institute of Technology), 72 Objects (semifinalist, O’Neill NPC), Black Press in the White House (Smith and Kraus, 105 Five-Minute Plays), and The Ethel Party (Silk Road Review). She co-founded LineStorm Playwrights and lives with her family and two chickens in Portland. Put fresh eyes on a draft or writing concept with techniques that progress your theme toward your goal. A discussion of Aristotle’s 6 dramatic elements lays the groundwork for diving into your own piece. Answer 21 questions that will illuminate your story. Are you ready for Terroir? Registration is now open, click on “2018 Registration” above.